There was a good book in there, I’m sure of it. Unfortunately, neither Mr. Lamb nor his editor were able to find it. I’ve read all of Wally Lamb’s previous books, including the two volumes of short stories he edited from the ladies in York Correctional Institution. I am a fan of his writing and, from what I know, am also a fan of him personally. This book though… it just wasn’t there. There were 10 years between The Hour I First Believed and Mr. Lamb’s previous book, I Know This Much is True. From what I’ve read, Lamb went through a serious case of writer’s block and had trouble dealing with being a best seller. After reading the book, my best guess is that he writes like I do – which is to just keep typing words, regardless of whether they are working or not, and to try and find the point. For me, I frequently end up throwing away literally hundreds of pages, because it often takes me that long to find my story. This time though, I guess he didn’t find it, nor did he throw a word of it away. It would be hard, and pointless, to sum up the plot. There are a ton of back stories and tangents and many of them are unnecessary. Not only do they not further the plot, they actively distract and confuse the reader. I’d read reviews of this book before I read it, and found many people saying similar things. I didn’t believe it, because I’ve read other reviews of I Know This Much is True that said the same thing – too many subplots. I couldn’t have disagreed more, as one of the most beautiful things about that book was the fact that it flowed flawlessly between many rich and interesting stories. Unfortunately, he lost his way with this book. 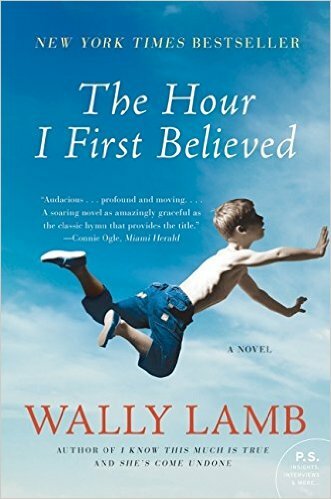 I will certainly continue to read Wally Lamb and to encourage my friends to do so. I just won’t be recommending this mess. This entry was posted in book reviews, fiction and tagged book review, fiction, lamb. Bookmark the permalink.